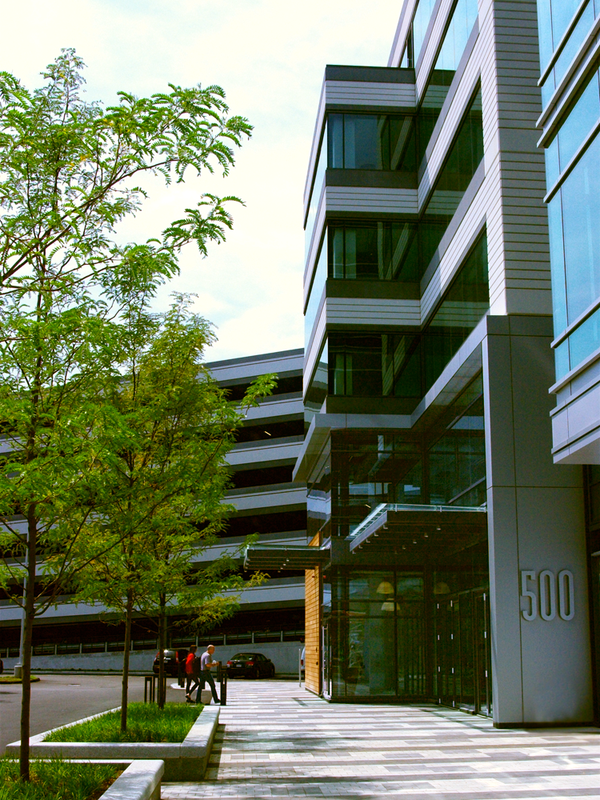 10 City Point is the newest addition to Waltham's CityPoint commercial district. 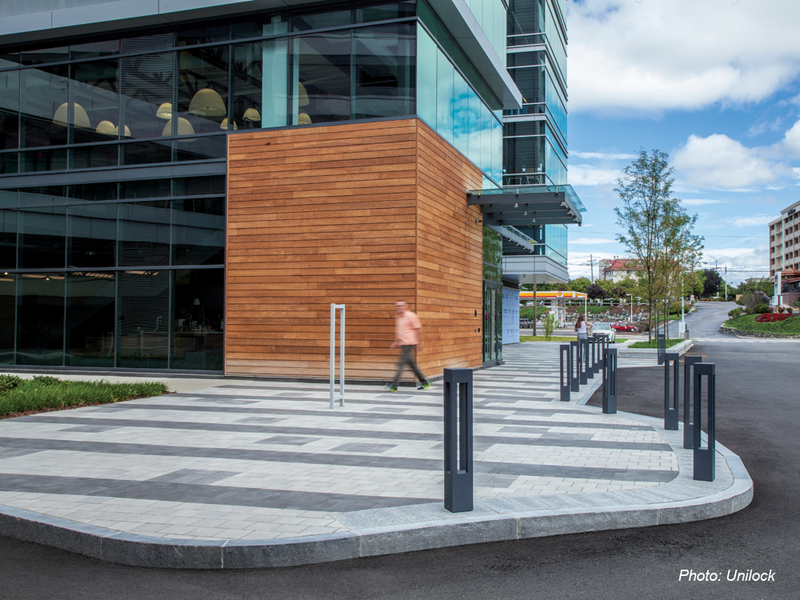 An inviting, carefully arranged entrance accommodates employees and delivery trucks with light bollards that define and illuminate the different spaces. Raised granite planters further differentiate between pedestrian and vehicular space and bring green to the front of the buildings. Three colors of concrete pavers form a unique geometric pattern for the groundplane.